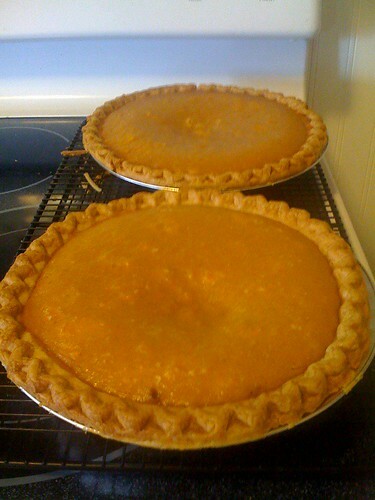 Sugar pie pumpkins are available again… I baked one down last night, and today it’s becoming the first pumpkin pie of the season for me. 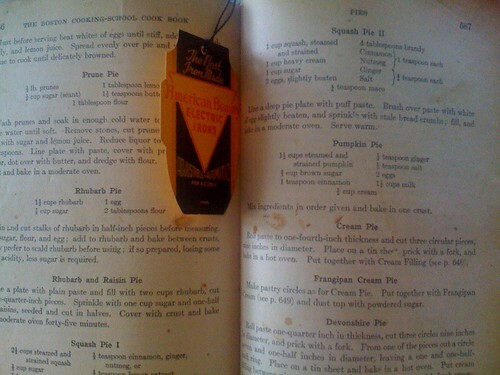 The recipe I use is pretty minimalistic, but it’s from one of my favorite cookbooks: The Boston School of Cooking cookbook, this particular edition was published in 1929. Oh my I wish I were there……. And you didn’t bring it over to my house? What the hell?